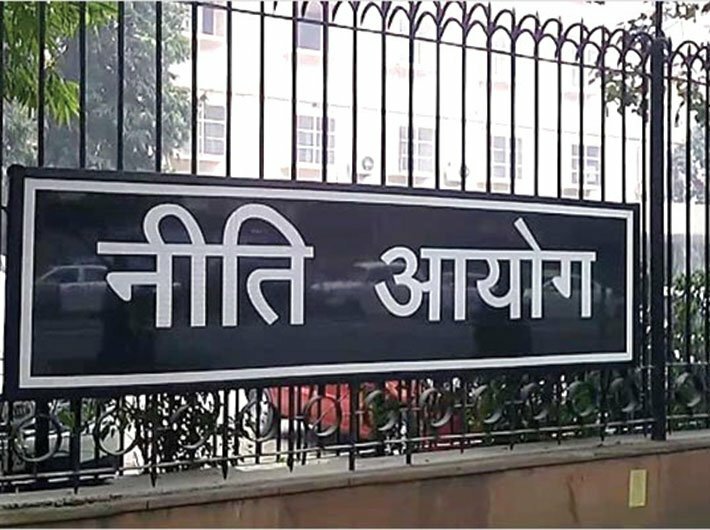 Manufacturing will remain the dark horse for the Indian economy, especially as labour-intensive industries shift from China, writes Sukhgeet Kaur, director, project appraisal and management division, Niti Aayog in an official blog titled Reform and Disruption is key to growth. “Public-Private partnerships should speed up the development and adoption of advanced techniques such as robotics, big data, 3D printing, analytics, additive manufacturing, automation, electronic system, design and IOTs and to train workers in these skills,” she emphasises in the blog. It has been observed that automation, rather than destroying jobs, refines them and in many ways reduces costs and boosts demand. Automation and artificial intelligence reallocates jobs, it does not displace them. Workers would switch from routine unskilled jobs to non-routine skilled jobs to stay ahead of automation. The transition is likely to be difficult as automation disrupts labour markets requiring workers to learn new skills quickly, she mentions. She said that an increased social investment would make the loss of industrial employment generation less damaging during the transition period. Social programs that bolster the purchasing power of poor families are likely to be important. Broad-based agricultural growth will provide a basis for labour intensive manufacturing, with some economists recommending a second green revolution for eastern India. However, any program towards universal transfer such as the Universal Basic Income (UBI) with huge fiscal costs may potentially displace expenditure on other targeted poverty reduction programs. Universal cash transfers would become more affordable and effective with better targeting. One way of implementing UBI is to link transfers with Aadhaar (biometric ID) seeded bank accounts of intended beneficiaries. She mentions that manufacturing has been a driver of economic growth and aggregate economic performance. The development trajectory of advanced economies, even East Asian countries has involved manufacturing based industrialization. Share of manufacturing output and employment first rises, reaches a peak and then declines. However, there has been a weakening of this trend termed as ‘premature deindustrialization’ by Dani Rodrik (2015), with countries becoming service economies without completing the full cycle. Aborted industrialization appears to be occurring much earlier in emerging economies. Arvind Subramanium (2015) describes it as ‘non industrialization’ in Indian economy’s case. She went on to say that India’s reform trajectory marked by bold initiatives such as Make in India, Startup India, Skill India, Digital India, Atal Innovation, Housing for All, Smart Cities and industrial corridors coupled with its large domestic market could make it the preferred destination for both domestic and foreign firms. The recent jump of 30 positions in India’s Ease of Doing Business rank is testimony to the fact that continued, credible and consistent reforms will unleash India’s potential. Businesses and foreign enterprises would relocate in the pursuit of cheap labour and better business ecosystems. Low labour costs business models may not be enough, innovation would be key to maintaining and expanding market share. These initiatives need to be aligned with the natural comparative advantages of the Indian economy. New laws such as Bankruptcy Law, Financial Code, Labour Codes etc. are unbundling the complexities. "A critical piece of the growth strategy is putting an end to bureaucratic paralysis, improving the ease of doing business, instituting reforms in labour and land acquisition laws, improving infrastructure and aiding formalization of the economy. Flexibility in probation periods & permanent contracts, modernization of industrial relations, simplification of bureaucratic requirements for small & medium enterprises (with high employment rates & big share in industrial production), promotion of labour-force training, reduction in corruption and legal uncertainty would make formalisation more attractive." This would boost formal manufacturing which exhibits unconditional convergence. These virtues are shared by skill-intensive services. Reforms would also enable service sectors to grow at a fast pace, create quality employment and attract investment. Construction is likely to be a critical source of employment due to India’s antecedent infrastructure deficiencies for some time, she writes further.